Omke Jan is run by chef Daryanto Jongman and hostess Boukje Smeding. Omke Jan is run by chef Daryanto Jongman and hostess Boukje Smeding. 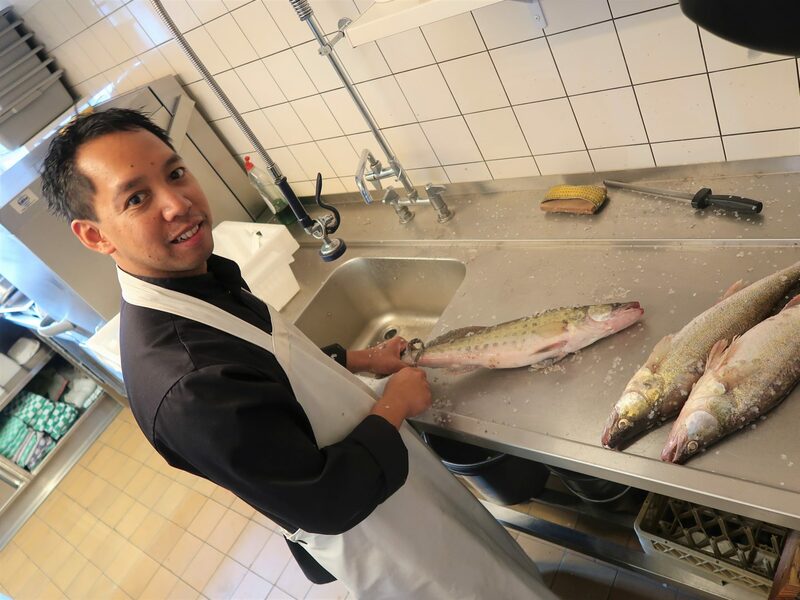 Together with a team of enthusiastic employees, they make sure that everyone feels welcome at Omke Jan. Locals in Woudsend are also well acquainted with this hospitable pair. Daryanto and Boukje even share their roots with Omke Jan, because they’re from the area where he grew up! As a chef, Daryanto completely agrees with Omke Jan’s food philosophy: ‘Omke Jan wants things to be simple again, and that’s a vision we share. We too can see the demand for honest, recognisable food of the highest quality. It’s a great challenge that we’re more than happy to accept.